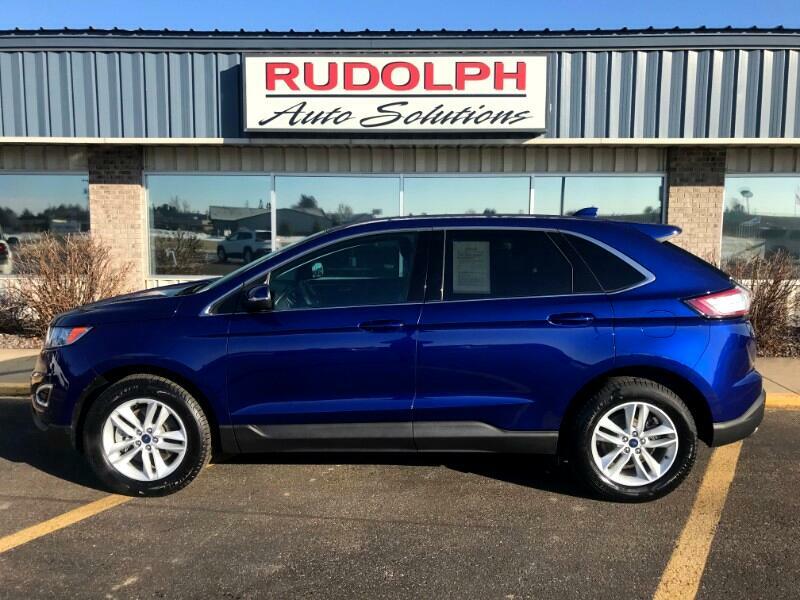 Deep Impact Blue Metallic 2015 Ford Edge SEL AWD 6-Speed Automatic with Select-Shift 3.5L V6 Ti-VCT ACCIDENT FREE ONE OWNER CREAM PUFFFFF, ACCIDENT FREE, BACKUP CAMERA, LOW LOW MILES, Edge SEL, 3.5L V6 Ti-VCT, AWD, Alloy wheels, Automatic temperature control, Brake assist, Equipment Group 201A, Exterior Parking Camera Rear, Front dual zone A/C, Leather-Trimmed Heated Bucket Seats, Power driver seat, Power steering, Power windows, Premium 9 Speaker Audio, Rear Parking Sensors, Remote keyless entry, Spoiler, Steering wheel mounted audio controls, SYNC w/MyFord Touch, Turn signal indicator mirrors. Recent Arrival! Odometer is 16462 miles below market average!